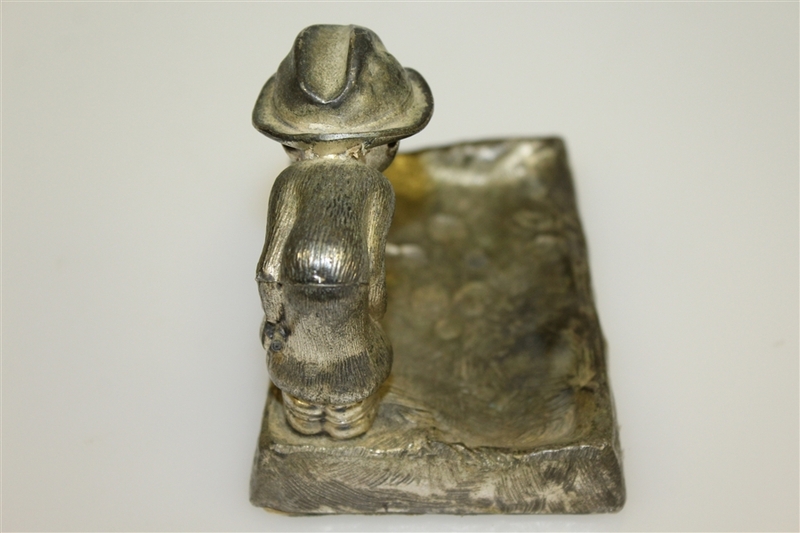 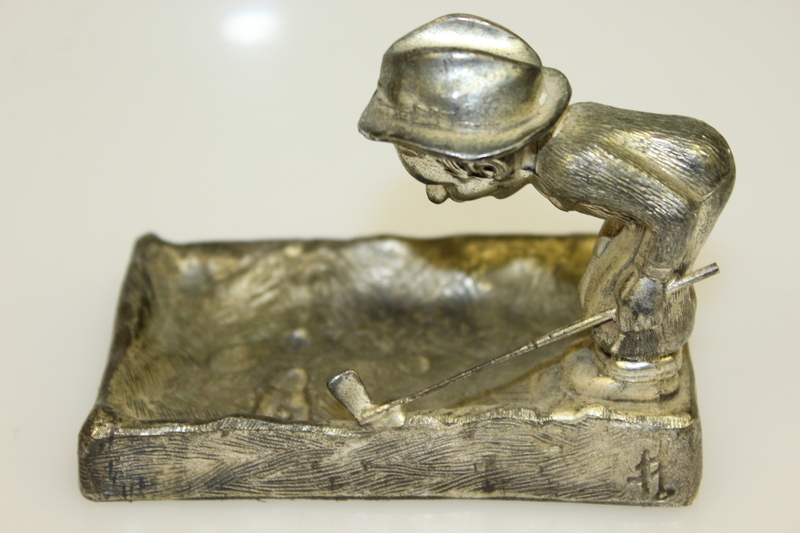 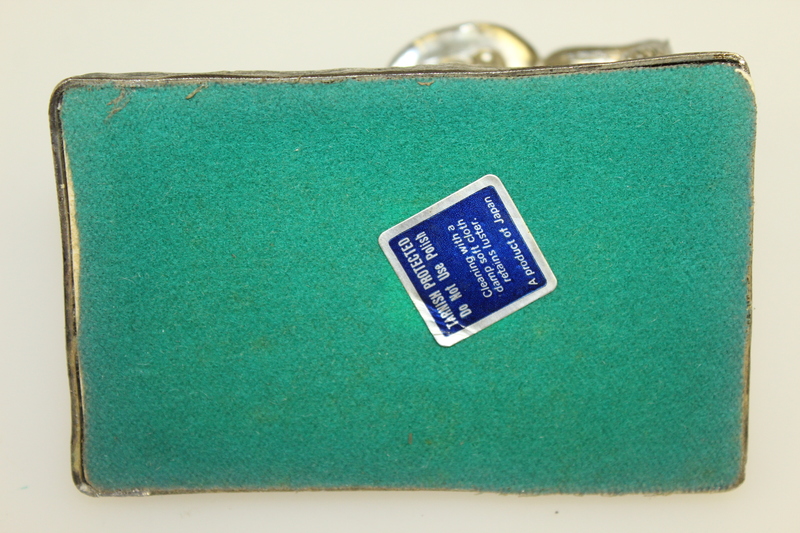 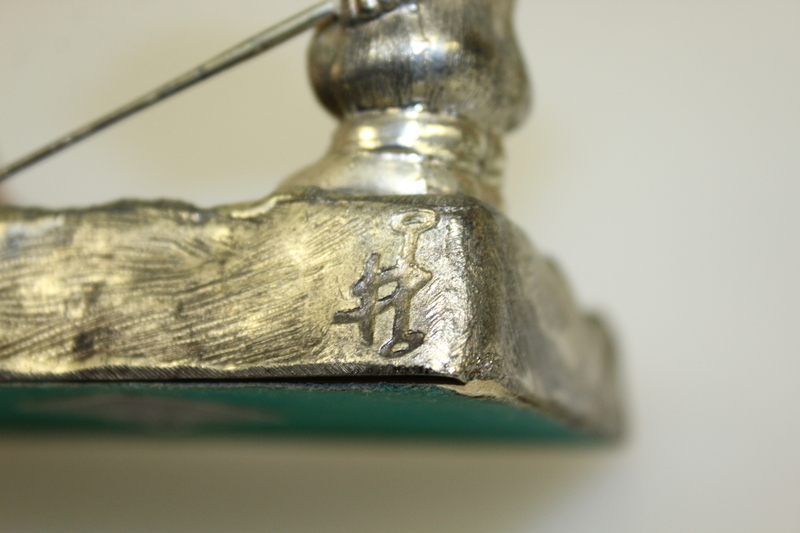 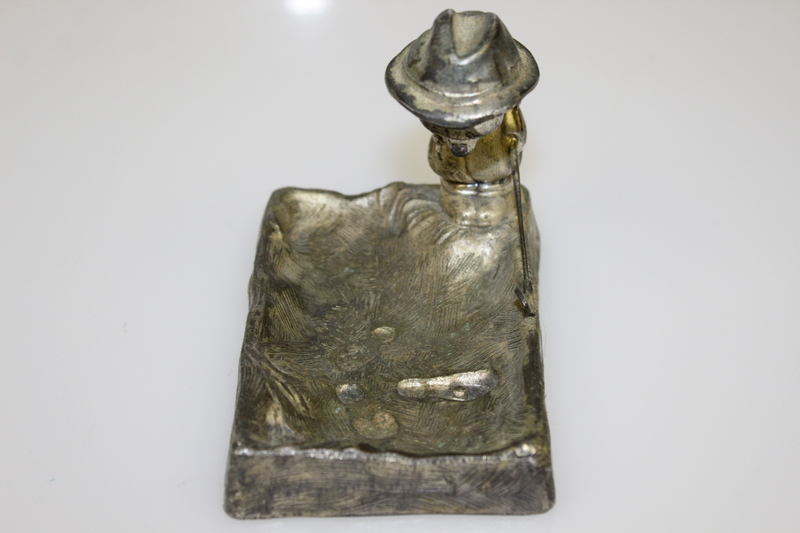 Presented here for bidders is a stunning art deco ashtray featuring a golfer on the course. 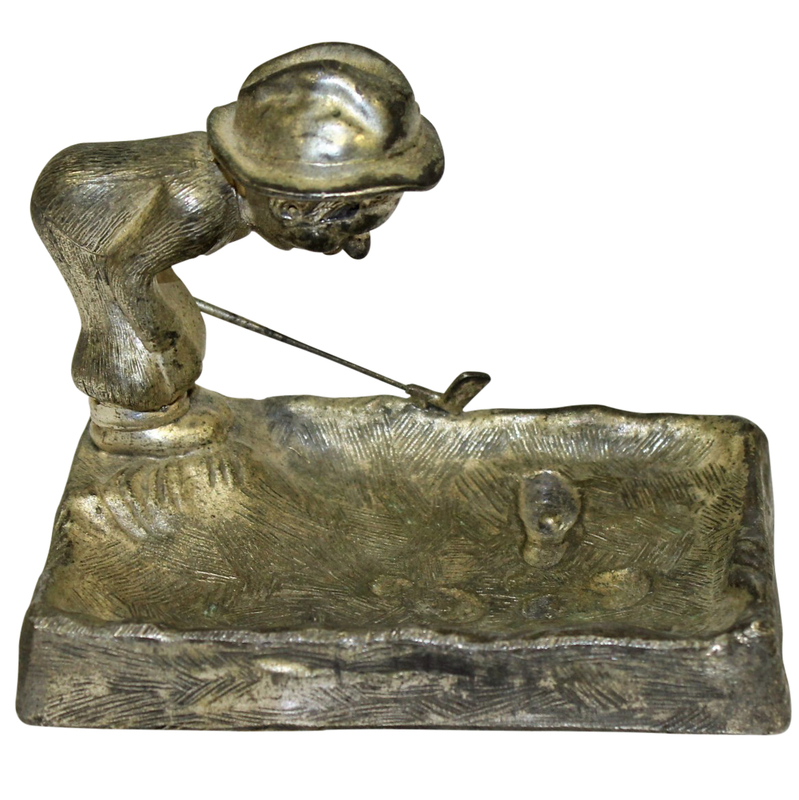 The golfer is peering into a sandtrap looking at his ball in a footprint. It stands 3 1/2" tall with a base 4 3/4" x 3".